Criminal has been an enduring hit for Image Comics, Ed Brubaker and Sean Phillips. In celebration of that endurance (more specifically ten years), the duo plans to release a brand-new, 64-page one-shot of the series in April. Teaming up with Elizabeth Breiweister will bring their darkest and strangest tale yet: a twisted ‘70s noir about a father and son on the run. This 10th Anniversary Special also comes in a magazine-sized variant featuring the star of the comic-within-the-comic—a perfect companion to last year's Savage Sword of Criminal magazine-sized variant. Criminal: 10th Anniversary Special(Diamond code: NOV158430) hits stores Wednesday, April 13th. 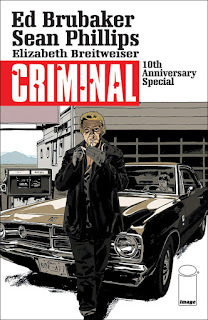 Criminal: 10th Anniversary Special, Deadly Edition: Magazine-Size Variant (Diamond code: NOV158431) will also be available on Wednesday, April 13th. Final order cutoff deadline for retailers is Monday, March 21st. Full press release below. The Eisner Award-winning team of Ed Brubaker and Sean Phillips (THE FADE OUT, FATALE, Sleeper) will release a brand-new 64-page one-shot of their acclaimed noir series CRIMINAL in April. CRIMINAL: 10TH ANNIVERSARY SPECIAL (Diamond code: NOV158430) hits stores Wednesday, April 13th. 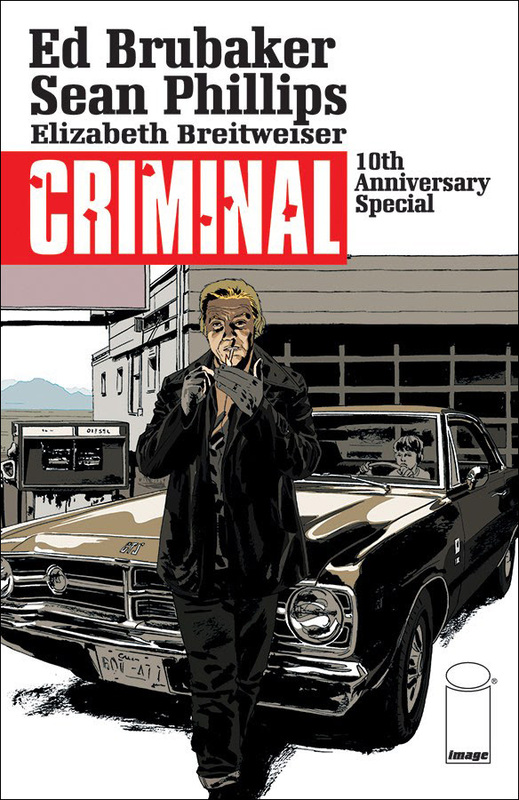 CRIMINAL: 10TH ANNIVERSARY SPECIAL, DEADLY EDITION: MAGAZINE-SIZE VARIANT (Diamond code: NOV158431) will also be available on Wednesday, April 13th. Final order cutoff deadline for retailers is Monday, March 21st.